The Polish Ladies Auxiliary present a screening of an animated documentary movie A Trip To Nowhere. This 30 min film, written, directed and illustrated by Shannon Hart-Reed, tells the story of WWII Soviet deportation of Polish men, women and children to Soviet gulag camps where so many perished. Based on the stories of the survivors from the Seattle area, some of whom will be present at the screening and the Q & A to follow. This is the annual meeting of the members of the Polish Home Association. It is also an election meeting for the Board of Trustees and the PHA Officer positions. PHA members can vote by proxy, see the Polish Home website for candidate lists, proxy forms and other election info. The deadline for candidate registration is Jan 5, 2013. The Polish Scout Troop Kaszuby invites everybody to a 1980s-style disco at the Polish Home. Put on an attire from that great era and come to the party! Music from the - you guessed it - 1980s, great Polish food (dinner and snacks) available separately. Food prepared by the scouts' families as this is also a fundraiser for the local troop. Where: at the Polish Cultural Center / Polish Home, tickets $15. More: info & reservations Anna Borodenko 425-280-4858, Wojtek Las 206-229-0164 or Monika Harezlak 360-820-2403. The book for the meeting is Dziennik by Jerzy Pilch, published by Wielka Litera in 2012. Pilch, 60, is one of the best Polish contemporary authors. His book Pod mocnym aniolem won the Nike in 2001. The book has been praised as a memoir that omits the mundane, reads well and covers all sort of topics in an interesting way. Pilch's books are available on Amazon etc. Club meetings are in Polish. UW Polish Studies Endowment Committee invites everybody to a lecture Rafal Olbinski - Jazz on the Cover by a surrealist artist Rafal Olbinski. Mr. Olbinski is a very well-known graphic designer and painter, he has also designed stage sets for operas. If you are coming for this lecture, start with visiting the exhibition Rafal Olbinski - Jazz on the Cover, also at UW. Please see a separate note about the exhibition. The Seattle Art Museum presents Elles: Women Artists from the Centre Pompidou, Paris exhibition highlighting works by women artists from 1908 to 2007. Among 75 world artists such as Frida Kahlo, Diana Arbus or Atsuko Tanaka, there are three Poles: an Art Deco painter Tamara de Lempicka (1998-1980) and sculptors Magdalena Abakanowicz (82) & Alina Szapocznikow (1926-1973). The UW Libraries and the Zbigniew Seifert Foundation invite to an exhibition Rafal Olbinski - Jazz on the Cover. 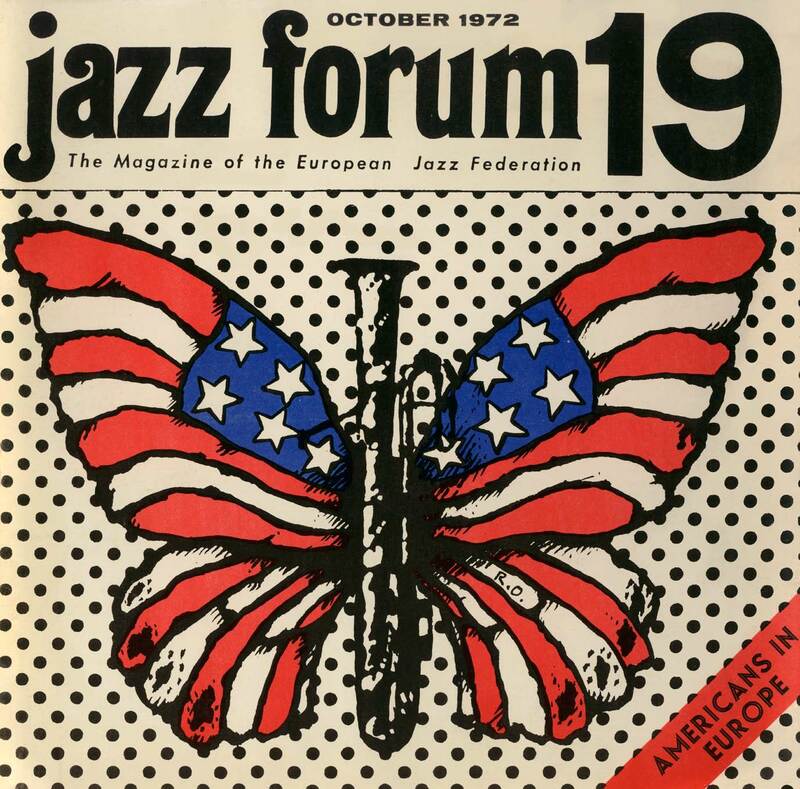 The exhibition includes about 30 poster-size covers from Jazz Forum, a Polish jazz journal. Exhibition has been prepared by Izabela Gabrielson and sponsored by the Consulate General of Poland in Los Angeles and the Zbigniew Seifert Foundation. Please note, exhibition open house with the artist is on Jan 17 at 6:30 pm, before his lecture at 7:30 pm - please see a separate note about the lecture. This event is the traditional wafer & good-will sharing (Oplatek) for members and friends of the Polish Home with Fr. Stanislaw Michalek. January 6, on the 12th day of Christmas, is the feast of Epiphany, which In the Polish tradition marked the end of the Christmas period. The Polish Choir Vivat Musica will help with caroling and everybody is invited to come and sing Polish and American carols along. Traditional food will be provided. Frank Piasecki (1920-2008) was an aviation pioneer and the inventor of the dual motor helicopter known as the flying banana. The Museum of Fight presents an exhibition about Polish aviation engineers and inventors originally created by the Polish Aviation Museum in Cracow. Several other Polish inventors and pioneers of the aviation industry are presented as well.